Although a Sikh by default - that is, a Sikh by birth – Dr. Singh discovered the “possessive power” and “alluring beauty” of Sikhi late in life, embracing it with the enchantment that a child might feel in “discovering a new electronic game.” Except that, unlike a toy or game, he recognizes that Sikhi is not a toy but a force that seizes ones life. A feeling that many of us can relate to! Since 1994, beginning with Sikhs and Sikhism: A View With a Bias, he has tracked and shared his progress on the path of Sikhi by using writing as a navigational tool. Writing, he concedes, is a form of self-indulgence (I would call it ego), but he adds, it is also brutal self-examination that also holds the seeds of ecstasy. For those who have followed his progress on the path, the visible bias of an “ordinary Sikh,” evident in the first book, gave way to a sense of pilgrimage in second book, The Sikh Way: A Pilgrims Progress. 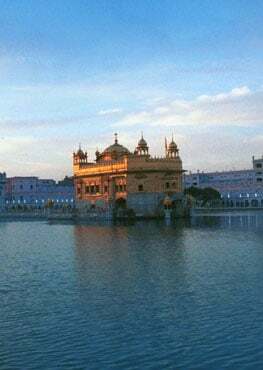 In the subsequent Being andBecoming a Sikh and The World According to Sikhi, one discerns that the pilgrimage, like all personal odysseys, is never ending, never linear and never to a specific location. The journey is the destination. Following his own recommendation in “The Journey and the Destination,” an essay written in an earlier work, Dr Singh re-visits the basic tenets and structural underpinnings of Sikhi in the light of contemporary issues and examines how they impinge upon our lives – as individuals and as a community. In the 30 essays in Sikhs Today, not surprisingly, Dr. Singh returns to a theme that is at once familiar, modern and perennial: Sikhi. As he contrasts the Sikh landscape against our current realities for answers, we find ourselves returning to familiar terrain, only to see things anew and discern deeper shades of the Truth. Like its predecessors, the book cuts a wide swath, examining the entire range of Sikh experience: from suggestions on how to profit from reading the Hukumnama in Hukumnama: Handle With Care, to the value of spiritual formation inherent in the daily Nit Nayam in Nit-Naym: The Daily Grind or The Way To a Sense of Self, to the moral abyss that stares us in the face in Sikhi: The Global Vision that Was. As his engagement with Sikhi has deepened, one can discern that his Weltanschauung (or worldview) is more rooted in the framework of Sikh teachings and his concerns broader and societal. What started out as a personal quest (and remains so) with an emphasis on doctrinal matters and issues of identity has evolved into a wider concern for the community and its place on the world stage. Not surprising. A Sikh does not climb the inner mountain alone but anchored in Sangat. Community matters become important, if not paramount. Starting with Vaisakhi Redux and concluding with Telling Truth to Power the book is a masterly survey of Sikh history, politics, culture and practice. The Vaisakhi of 1699 is described (quite rightly) as a pivotal moment in our history being the first culmination of a process of nation building that Guru Nanak inaugurated with a revolution of the mind, a dramatic paradigm shift that replaced prevailing modes with a new way of looking at life, one that calls for an expanded consciousness guided by a sense of the sacred in all human activity. Here it would be especially pertinent to ask, “What sort of nation did the Guru envision? Sikhs, he concludes, are a nation without borders - a global community founded on the bedrock of institutions of Sangat, Langar and Pangat. A true manifestation of the notion of E Pluribus Unum! Little wonder, then, that the cultural beliefs and habits of the Punjab (or India, for that matter) continue to inform and color much of our understanding of Sikhi. A Gordian Knot to Cut offers a way out: the intractable problem (Gordian knot) of our feudal roots and limited vision can be cut with the sword of knowledge– gyan kharag. Butgyan or knowledge requires the cultivation of certain habits of the mind, chief among them a love of learning and introspective reflection that is not possible without reading, books and the sangat (company) of stimulating minds. Unfortunately, the habit of reading is not much in evidence amongst Sikhs. Our reading habits, or lack thereof combined with our cavalier attitude towards books draws Dr Singh’s lament in On Books and Bookshops. He contrasts J. Levine Co., the world’s oldest Judaica store in Manhattan, with its “marbled floors, polished and glass cases with blue neon trim,” with the dark and dingy basement of the Guruduara Bangla Sahib, which passes off as the bookshop of one our most prominent Guruduaras. And that is just the facilities. I could not concur more: reading is absolutely critical; more so in our TV dominated image culture. Reading develops concentration, imagination, thinking, the ability to “play with ideas” and above all, the capacity for dealing with the nuances of meaning and use of language - in short, it makes for a rich inner life. All of these qualities are essential if a Sikh is to understand and absorb the meaning of the universal and timeless ideas expressed by the Gurus in poetry and bound by the written word! On Thinkers, Writers and Public Intellectuals makes a case for the other plank in transcending our constricted views: the need for public intellectuals, those who “in addition to distinction in their own field, show an ability to stitch together widely divergent ideas.” To be sure, Sikhs have had their share of public intellectuals: Bhai Vir Singh, Puran Singh, Kapur Singh, Harinder Singh Mehboob, Sant Singh Maskeen and Jaswant Singh Neki are cited as examples. To this list of public intellectuals I would add Dr. I.J. Singh himself. Alas, most (not all) have failed to step outside their ivory towers and make the transition. An exception that comes to my mind is Harpreet Singh, currently at Harvard who, apart from being an academic of distinction, is a social entrepreneur and community activist (being a co-founder of the Sikh Coalition). Outside of academia, Harinder Singh and Inderpreet Singh of the Sikh Research Institute are outstanding examples of public intellectuals in the making. Even the most optimistic view of Sikh reality today would be hard pressed to deny that our institutions are in a shambles; that we lack moral leadership and a structure to address issues of global concern. Three successive essays, Of Laws & Conventions: Sikh Turban and Unshorn Hair, The Tenth Amendment: A Sikh View and Enforcing the Social Compact (Contract) explore these themes. Dr Singh surveys Sikh history and to the internal governance of the community and calls for a federated structure of governance, an internal judicial system and limiting the intrusive (dictatorial) tendencies of our corrupted institutions. Fissures and Fractures draws on Eugene Robinson’s Pulitzer Prize winning work Disintegration: The Splintering of Black America, to suggest that like the Blacks, Sikhs no longer exist “as an entity of common values,” that the Sikh world appears to be headed towards a three way splintering - Amritdhari vs. non-amritdhari vs. non-keshadhari. This split, he argues, is accentuated by economic vs. urban vs. rural divide – a drift brought about by the emergence of an urbanized, educated class of English-speaking Sikhs, the Transcendent Elite. Will these groups eventually evolve separate Guruduaras, he asks? Lest I paint too gloomy a picture, not all is lost. Two essays titled, “Young and Wired: Up from the Grassroots, and“Taking the Measure of Sikh presence in North America,” are celebrations of Sikh presence and achievement in the West, particularly North America. The author singles out the Sikh Coalition, United Sikhs, SALDEF and the Sikh Research Institute (SikhRI) as outstanding examples of how dedicated and committed young Sikhs have created valuable institutions. If we take the dictum that Sikhi is a do-it-yourself religion seriously (as we should) then the onus is squarely on the individual Sikh to continually explore and re-examine the basic tenets of the faith in the language and the context of the times in which we live. We would recognize, also, that there is simply no mandate for an ordained clergy. Unfortunately, Sikhs, for the most part, have taken the easy way out. In “ When Outsourcing Just Doesn’t Work” Dr Singh laments the prevalent practice of paying for Akhand Paths where an entire reading is sponsored for a fee – much like paying for “indulgences,” a practice that Martin Luther revolted against (hence Protestantism). Telling Truth to Power (the title of the last essay) is an obligation for every Sikh. It is a heady concoction, Dr Singh warns us, and requires “clear-eyed courage,” that can only come with “Sehaj.” This is what Guru Nanak did when he spoke out against the Mogul Emperor Babar. This is what Guru Gobind Singh did when he delivered the Zafarnama to Aurangzeb. And this is the cue for every Sikh. Questing is to question and questions are the measure of a man. As you ask, so you become. It is not important that we find final answers; what is important that we keep the questions alive. The value of Dr Singh’s writings is precisely that he keeps the questions alive for us to ponder. The book’s primary audience is the Sikh Diaspora and that limits its usefulness and influence. Perhaps that was by design. Like a breath of fresh air wafting through the mind, I.J. Singh’s new book “Sikh’s Today: Ideas and Opinions”, addresses Sikh community’s contemporary and historical issues with concise common sense that is evident only in people with uncommonly superior intellects. Like most of his writings, Sikhs Today is filled with penetrating insights and compelling ideas. Singh’s writing is characterized by twinkling wit, fresh perspectives, and sound judgment. In person IJ is the same; his eyes twinkle as he mischievously turns every comment into a humorous paradox and every compliment into a self- deprecating statement. He is thought provoking and scintillating in person as he is in his books. Sikhs Today is an eclectic collection of essays whose subject matter is as varied and vast as Singh’s capacity to comment on both the venerable and the ridiculous in the Sikh community, all the while drawing comparisons from other world religions, communities and leaders. The comparisons serve to both illuminate and contextualize Sikhi within contemporary times and current social milieu. Singh tells us that as a writer the single idea that has allured and enthralled him is to be on a journey from “being a Sikh to becoming a Sikh”. (Also the title of his third book) Many of us are Sikhs because of the accident of birth; I.J.Singh as we have witnessed via his writings, has become an informed and inspiring Sikh. Imbibing and sharing Sikhi has become the purpose of his life. He encourages us to do the same as Sikhs and seekers: to find a purpose that is bigger than the self and leaves the world better than we found it. Singh would like to see the continuation of the world view of Sikhi as vast as the Gurus intended it to be. Guru Nanak laid the foundation of a nation without barriers; subsequent Gurus made seminal contributions to that vision, and on Vaisakhi 1699 Guru Gobind Singh took the final step towards establishing “an egalitarian nation with democratic institutions of accountability, transparency and participatory self governance.” Vaisakhi and Amrit are milestones on that journey, and not the final destination, he contends. A man of letters himself, Singh bemoans the scarcity of bookshops that cater to those that thirst for books on Sikhi, but then points out that reading is a not a pleasure that many Sikhs have taken to in a big way. Nor have Sikhs spent their time and money on educating themselves or the world about their religion. Their focus lamentably has been on marbleizing their gigantic gurdwaras, and when it comes to leisure activities the Sikh culture has become associated with bhangra, boozing and extravagance. 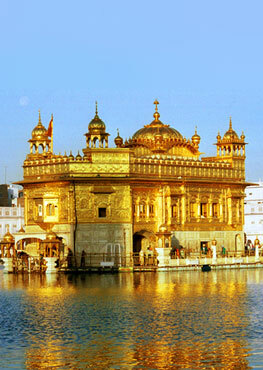 He would like to see our gurdwaras become centers of education and learning as they were meant to be. Or else folks will go where they find hope and comfort and that may well be a church within walking distance of any township in Punjab. Given that “Sikhism refuses to beguile people with promises of unmatched pleasures in the here and the hereafter if they join the faith, or frighten them with eternal wrath of God and damnation if they don’t”, the onus falls squarely on us to share Sikhi, “a beautiful system on how to design a life.” Singh wants us not to rely upon SGPC or any other Sikh organization with its limited reach, but take control ourselves. He calls for a rebranding of Sikhi and is optimistic that a new Singh Sabha movement will surface to energize the community. Singh is not afraid to question the importance of Sikh traditions and rituals – even exploring the significance of the daily repetition of Nitnaym. While he remembers nostalgically the nagar kirtans of Punjab, he debunks continuing practices in which the original meaning and purpose is not served. Singh’s relationship with the Guru is very personal as it was meant to be for all that follow the path. He scoffs at the proxy Akhand paaths where someone else is paid to perform prayers. He also defends his right to do away with the appendage “Ji” attached to the name of the Guru on the ground that Gurus themselves adopted the more intimate pronoun “tu “ rather than “tusi” in many of their communiqués with Akalpurakh. “Raj karega Khalsa” is interpreted by Singh not as a prophecy of territorial conquests but a call to achieve victory in the battlefield of the mind. Singh encourages us to cut the umbilical cord that ties us to Indian culture and colors our practice of Sikhi. He makes a foray into deteriorating social customs citing as an example the giving and receiving of gifts that are judged by monetary value and not the sentiment of the giver. The new trend at weddings and other celebrations of a request for gifts that are “not boxed” is exposed for what it is – a blatant demand for cold cash. No, I.J., you are not a “curmudgeon” for reminding us to find gratitude and pleasure in receiving gifts. “Telling Truth to Power” is the Kohinoor in this brilliant collection of essays. Singh’s razor sharp intellect dwells lovingly upon the Zafarnama that Guru Gobind Singh wrote to Aurangzeb. What made the Guru call it a letter of victory after he lost everything he had – his four sons, his father, his mother, his fortress? The explanation is both original and immediately resonates – it is so characteristic of the psyche of the founders of Sikhi that one wonders how come no one ever thought of this before? Sikhs Today is a collection of essays that will be read with joy and pride. Singh does tend to meander a bit, but it is all informative and the reader that indulges him will be suitably rewarded. I would have liked to see an essay on lavish weddings and the continuing practice of dowry which goes against every principle of Sikhi and puts an ominous burden on low income Sikhs whose ripple effect is seen in female infanticide. I hope to see it in the next round. A helpful glossary at the end of Sikhs Today demystifies Sikh terminology to the uninitiated. Buy the book, gift it, read and re-read it; pass it on to your friends and children. Thinkers like I.J.Singh are rare in any community. In the Sikh community he is unparalleled. Jessi Kaur is the author of two highly acclaimed children’s books: Dear Takuya and The Royal Falcon. She produced the first ever Sikh centric multicultural musical based on The Royal Falcon. 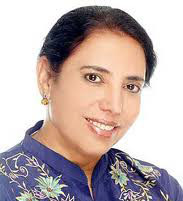 Her third book The Enchanted Garden of Talwandi that derives its inspiration from a janam sakhi of Guru Nanak will be coming out in 2013.